Golden State Warriors wins over Cleveland Cavaliers in the Game 3 of NBA Finals championship series on Wednesday, June 7, 2017. 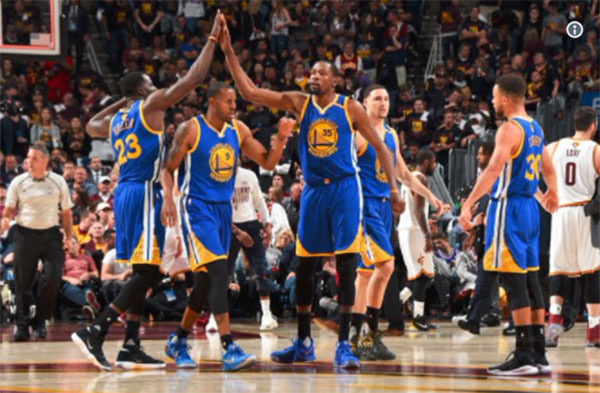 The Warriors sealed the NBA Finals 2017 series with 3-0 by beating the Cavaliers in Game 3 with 118-113 score gap. It was Kevin Durant played best for the Warriors with 31 points while Stephen Curry made 13 rebounds and Draymond Green with 7 assists. Top performer at the Cavaliers is no other than LeBron James. James brings 39 points and 9 assists. Warriors and the Cavaliers face off for the third time this season. Game 4 will be held again at the Quicken Loans Arena on Friday June 9, 2017 9pm. Below is Game 3 Replay and Highlights Full Video.